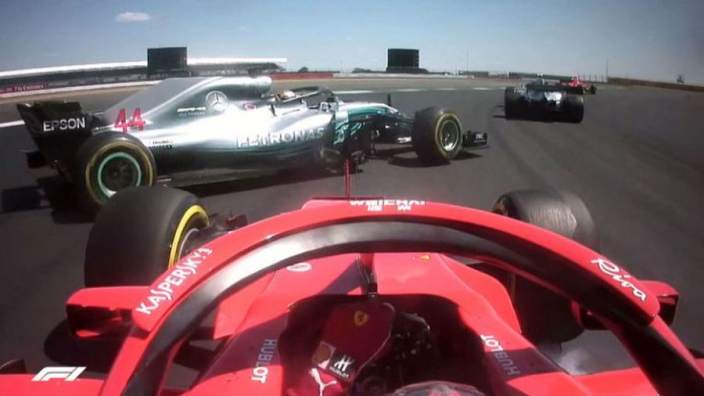 Valtteri Bottas says he does not believe Kimi Raikkonen deliberately crashed into Lewis Hamilton at the British Grand Prix in order to give Ferrari a title advantage over Mercedes. Sebastian Vettel won at Silverstone to go eight points clear of Hamilton, while the Scuderia are 20 points clear in the constructors' race. Bottas and Vettel capitalised on Hamilton's poor start from pole to pass him, but Raikkonen's effort at turn three was less successful, instead pitching the Briton into a spin that put him to the back of the field. The reigning champion later pinpointed Ferrari's "interesting tactics", while Toto Wolff enraged Ferrari by claiming Raikkonen was either "deliberate or incompetent". Hamilton fought back to finish second, while Raikkonen came home third, despite serving a 10-second time penalty. Bottas saw a potential victory go up in smoke late on as his tyres could not maintain performance and he finished fourth, having suffered at the French Grand Prix when Vettel crashed into him on the opening lap. However, the Finn was not in conspiratorial mood when asked about the inceidents. "I can't say there are any concerns," he said.